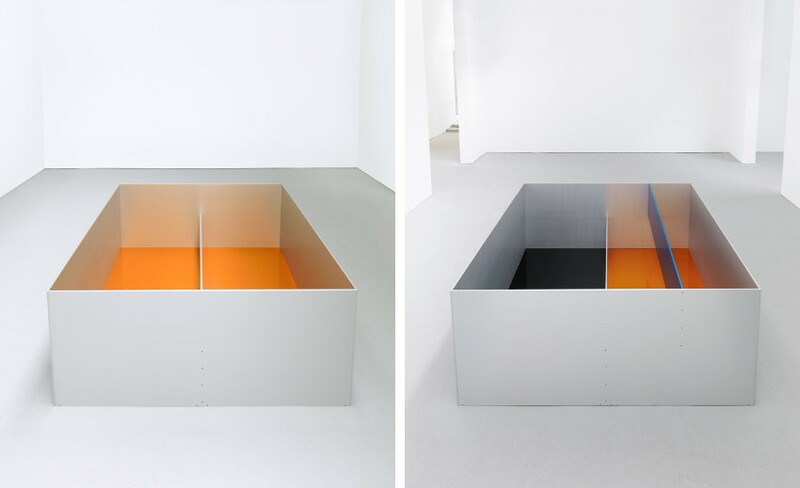 The work of Donald Judd, an American post-war artist, is a synonym for Minimalist art. It’s a term to which the artist strongly objected due to its generality, and yet he was remembered as one of the most important minimalists in the history of art. Without making grand philosophical statements, he was approached his work with the intention of creating pieces that assumed a direct material and physical presence. Managing to eschew the classical ideals of representational sculpture, Judd succeeded in creating a rigorous visual vocabulary that sought clear and definite objects as its primary mode of articulation. Born in Excelsior Springs, Missouri, Judd spent most of his childhood on his grandparents’ farm before moving to New Jersey with his parents. After serving in the United States Army in Korea, he studied at the College of William and Mary, the Art Students League in New York, where he earned his B.S. in Philosophy in 1953. He received his master’s degree in Art History from Columbia University. Between 1959 and 1965, he supported himself by regularly writing reviews of contemporary exhibitions for magazines such as Arts, Arts Magazine, and Art International, but actually continued to write throughout his life on a broad range of subjects. In 1964, Judd wrote Specific Objects, an essay (truly manifesto-like), through which he called for the rejection of the residual, European value of illusionism and advocating an art based upon tangible materials. Aligning himself with other artists such as Dan Flavin, Jasper Johns, and John Chamberlain, Judd began to openly emphasize the use of materials considered as non-traditional at the time, like steel, neon lighting, aluminum, and found objects. In his reviews and essays, he discussed in detail the work of more than 500 artists showing in New York in the early and mid-1960s, providing a critical account of this significant era of art in America. Frequently analyzing the work of Kazimir Malevich, Jackson Pollock, Ad Reinhardt, Barnett Newman, Claes Oldenburg and many others, Judd addressed the social and political ramifications of art production. After a (relatively) short practice in painting, Judd shifted to the medium of the woodcut in the late 40’s. The linear qualities of the newly chosen medium steered his attention away from figuration, and in the direction of abstraction. He had completely abandoned the two-dimensional picture plane by the early 60’s and instead began focusing on three-dimensional forms, with materiality as the key part. As a direct result of the artist’s desire to create objects that were standing on their own (and as part of the expanded field of image making, emphasizing nothing other than their physical presence), Judd’s work is often called literalist. Abandoning the key points of traditional sculpture (and its placement upon a plinth), the artist’s creations stand on the floor, forcing the viewers to confront them from the point of their own material existence. Highly interested in spaces, materials, forms, and colors, he would frequently use the industrialized and highly finished materials, such as steel, iron, Plexiglas and plastic. In order to separate his own artworks from those made by the artists working under premises of the Abstract Expressionism, Judd used methods and techniques associated with the Bauhaus School, giving his pieces an impersonal almost factory aesthetics. Another key trait of his was the frequent presentation of his works in a serialized manner, adopting the strategy that employed the reality of the post-war period and the fast growing consumerism. Due to the creation of the pieces using fabricated parts, Judd’s work was seen as an effort toward the democratization of art, where the pieces would be available to a broader spectrum of people. A wide array of people and movements influenced the work of Donald Judd. From his friend Dan Flavin, to Jackson Pollock, Barnet Newman, Piet Mondrian, Frank Stella, John Chamberlain, Michael Fried, Leo Castelli, Mark Rothko and Marcel Duchamp, but also the Abstract Expressionism, Dada, Modernism, and Neo-Plasticism, all of which have left a mark on Judd’s pieces. Especially Pollock and Newman – Pollock with the use of dissimilar elements within the context of his generality (for example the Autumn Rhythm, 1950), and Newman’s formal compression (that can be seen in Onement, 1948), that had set the stage for Judd’s Wholeness. Judd himself was an influence to many others, including Joel Shapiro, Anish Kapoor, Julian Opie, Richard Tuttle, but the movements of Minimalism, post-Minimalism, and Conceptual art in general. In 1968, following the success of his growing career, Judd bought a building at the northeast corner of Spring and Mercer, and paid $68,000 for it. It would serve as both his place to live and his studio in New York for the next 25 years. The restoration of the building began in 2010 and was completed after three years. Now, anyone even distantly familiar with Judd’s work needs to see it, and there are several pretty convincing reasons. Firstly, you can explore the home and studio of one of the most world’s important artists of the late 20th century. Secondly, you will get to see not only Judd’s pieces but also the works of Dan Flavin, Claes Oldenburg, and Marcel Duchamp. Furthermore, there’s a history at work here, as you can see what did SoHo’s 19th-century cast-iron buildings look like. In the end, there’s also a possibility of reflection of Judd’s contributions to design. Not only has his treatment of the building had an enduring influence on the interior design – the artist made a spirited contribution to the often thorny issue of design’s relationship to design. It’s partly thanks to him that neo-industrial aesthetic associated with restoration of disused warehouses and factories has become so popular recently. The artist bought the place as a wreck. After clearing out the junk, he stripped the interior back to bare plaster walls and wooden floors. The goods elevator was restored, as were the factory staircases. There was a limited amount of bought goods, such a several pieces of furniture. Everything else was designed or improvised by the artist. After his marriage with dancer Julie Finch ended in the early 70’s, Judd moved with the children to the remote town of Marfa, Texas. If the artist is one of the most important representatives of a certain artistic movement, then it often means that majority of his pieces is of equal importance, and the task of pointing out several of them is extremely difficult. Nevertheless, some do stand out, whether because of the time of their creation, or the significance in the artist’s career. Judd’s pieces from the 60’s are interesting, as they represent his early experiments in Minimalism. The realization that “actual space is intrinsically more powerful and specific than paint on a surface” led to the abandonment of the painting and embracing of the sculpture. 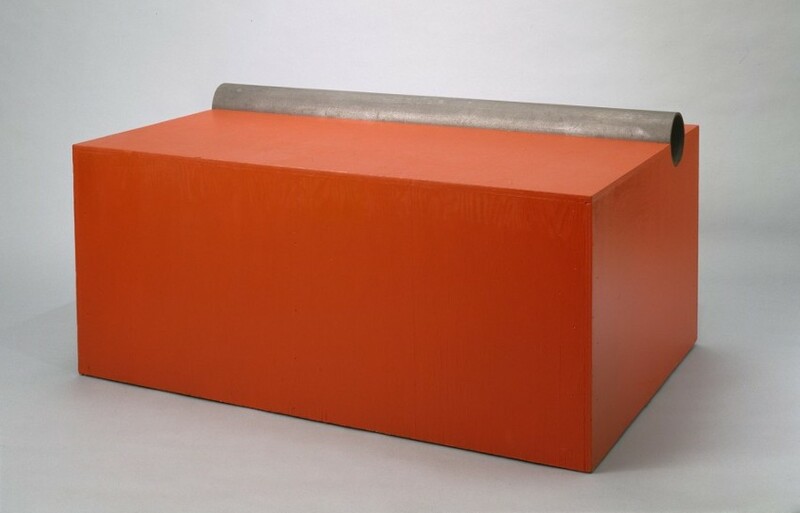 Untitled, 1972, is a large floor-based work consisting of an open-topped, almost square box with sides made from copper and an aluminum base that is enameled on the inside in cadmium red. The red color of the base is reflected by the interior faces of the copper sides, making them a much brighter and richer color than the exterior faces. 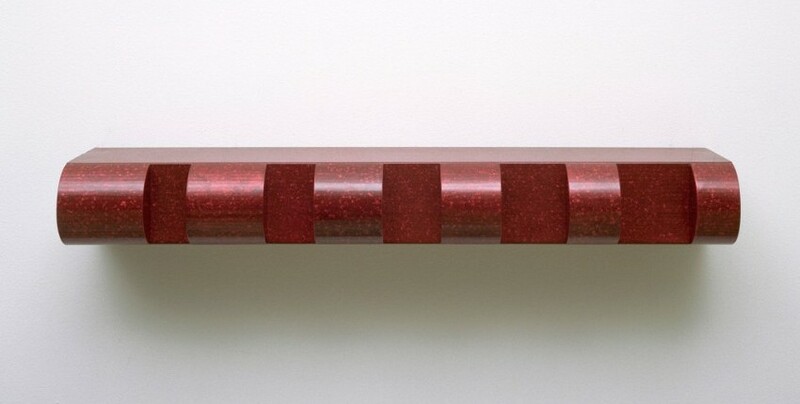 With its straightforward, rectilinear form and foregrounding of its color and its physical, material presence, Untitled 1972 is a perfect example of a minimalist object. Untitled, 1990 is a wall-based work that ten identical rectangular boxes, each with sides made of blue anodized aluminum and top and bottom faces made of clear acrylic sheeting. The units are fixed to the wall at one of their long sides, positioned one above another in a vertical arrangement, with each box being separated from the next by a distance equal to its height, and this same distance separates the bottom of the lowest unit and the floor. Thinking in advance (about gallery space), the artist predicted that some spaces wouldn’t be tall enough to support the piece in whole – in that scenario, a number of units featured in the work can be reduced in order to overcome the difficulties. It is important to say that Judd did not give descriptive titles to his works, and almost invariably, left them untitled. 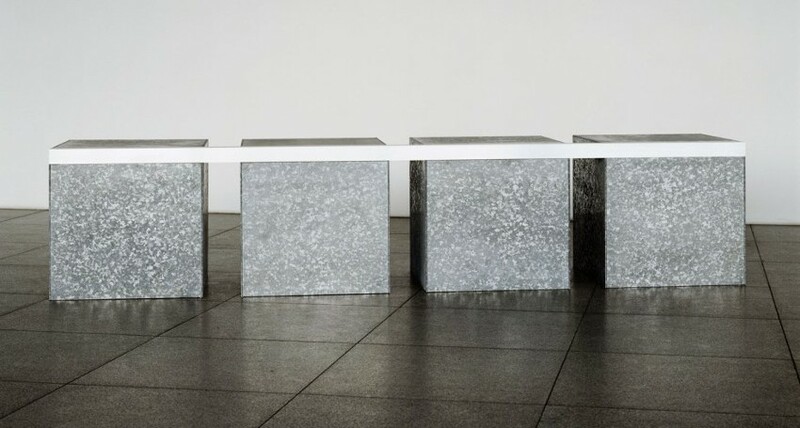 As famous as he was, Judd’s work has been exhibited internationally since the 1960s and is included in many prestigious collections throughout the world. Whitney Museum of American Art organized the very first retrospective of his work in 1968. It was a marvelous event and the one that would establish his importance in the world of contemporary art. Tate Modern, London organized a survey exhibition of Judd’s work in 2004, and the Museum of Modern Art plans to mount a sweeping retrospective of his work. The show will cover the arc of his career, covering everything from painting and art criticism to his later work in furniture design and land preservation, and will be held in the fall of 2017. Originally conceived in 1977, the Judd Foundation was created in 1996 (after the artist’s death) in order to preserve the work and installations of Donald Judd in his estates in Marfa, Texas and at 101 Spring Street in New York. 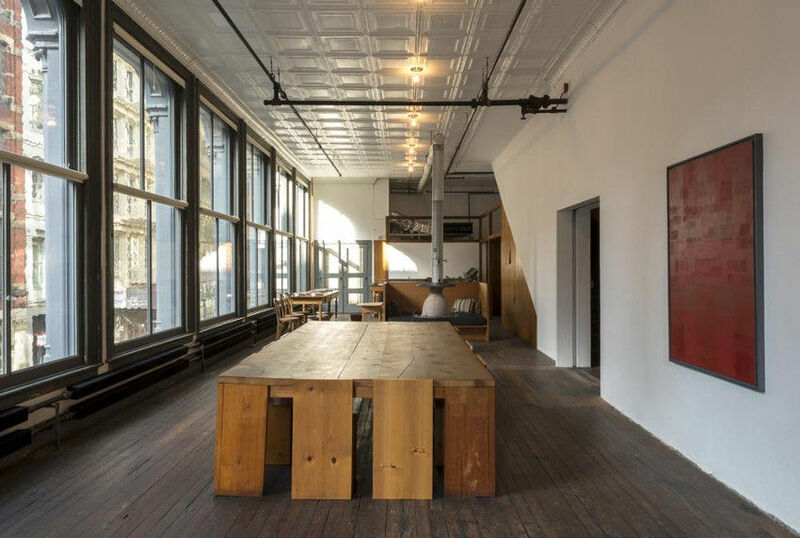 The Foundation holds the worldwide copyright for all works created by Donald Judd, and is directly responsible for the renovation of the artist’s house in New York, supporting the 16 permanent installations located at 101 Spring Street and in Marfa. Flavin and Reiner Judd, Donald’s children, are currently the members of the Foundation’s board, along with Robert C. Beyer, Dudley Del Balso, Fairfax Dorn, Carl Ryan, Dan Sallick and Ellen Salpeter. 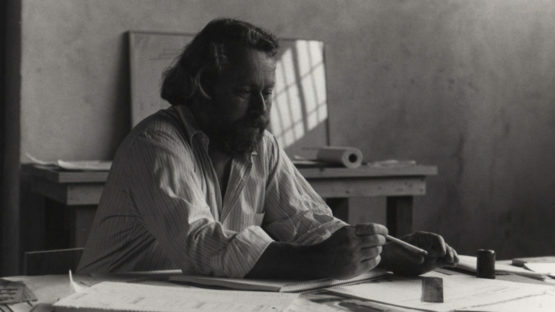 Donald Judd is remembered as one of the most significant representatives of Minimalist art, despite his intolerance toward the term. He is not just a great artist and an inspiration for generations that came after him and had a pleasure of seeing his works. Judd is also a writer of tremendous importance, who provided a critical account of the early and mid-60’s, discussing the work of more than 500 artists in his essays and reviews. He is represented by David Zwirner, Galerie Mitterrand, Galerie Thalberg and Pace Gallery.